Do you want to know why I love meatloaf? Because it’s basically a hamburger! 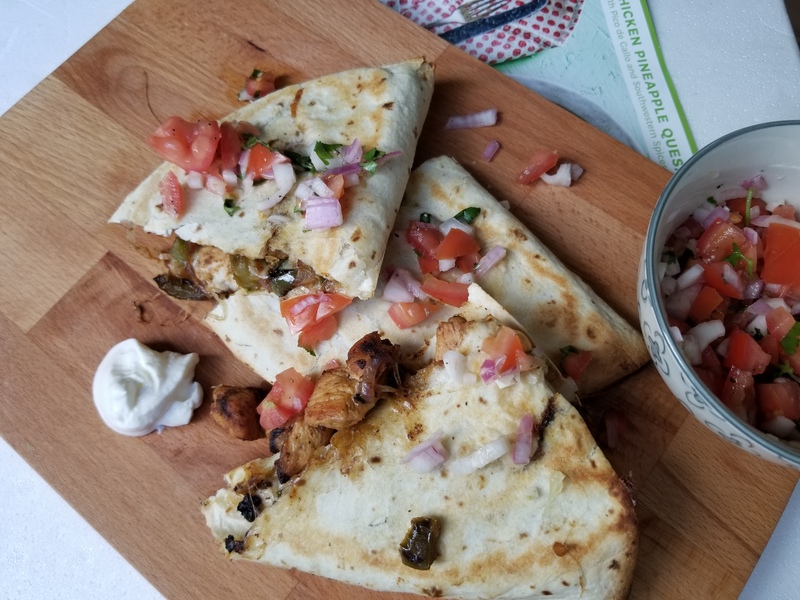 HelloFresh offers an ever-changing menu, with new craveable dishes to chose from each week. It’s fun, easy to make and their delicious recipes will change the way you feel about cooking. From novice to experienced cook, regain your confidence in the kitchen or sharpen your culinary skills. My family and I can’t get enough of the Rosemary Meatloaf from HelloFresh. The mashed potatoes are to die for! 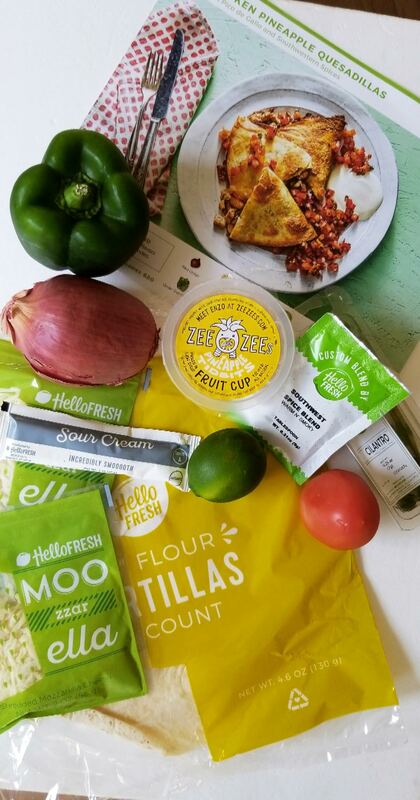 Want to try HelloFresh for yourself? Get 6 free HelloFresh meals when you use my code GRISTLE60. Wash and dry all produce. Adjust rack to middle position and preheat oven to 400 degrees. Halve and peel shallot, then mince until you have ¼ cup. Mince garlic. Strip and finely chop enough rosemary leaves from stems to give you 1 tsp. Soak bread with stock concentrate and 3 TBSP milk (we sent more) in a medium bowl. Break up soaked bread with hands until pasty. Add beef, half the chopped rosemary, half the garlic, minced shallot, salt, and pepper (we used ½ tsp kosher salt). Mix until combined. Shape into two 1-inch-tall loaves and place on a lightly oiled baking sheet. Bake in oven until cooked through, about 25 minutes (we’ll check on them after 10 minutes). Meanwhile, cut potatoes into ½-inch cubes. Place in a medium pot with a large pinch of salt. Add enough water to cover by 1 inch, then bring to a boil. Cook until potatoes are easily pierced by a knife, 8-10 minutes, then drain. Toss green beans with a drizzle of olive oil and a pinch of salt and pepper in another medium bowl. 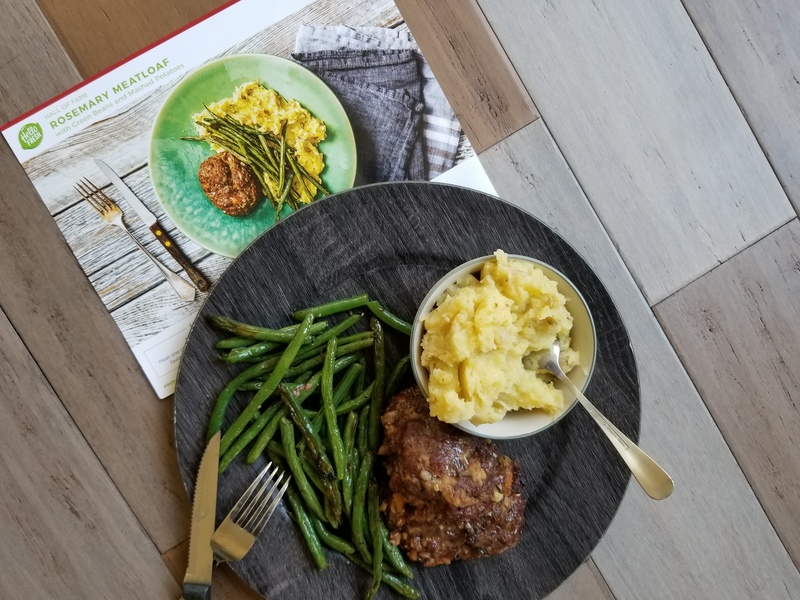 Once meatloaves have roasted 10 minutes, add green beans to same sheet and continue baking until green beans are tender and meatloaves are done, about 15 minutes. In pot used for potatoes, heat 1 TBSP butter, remaining chopped rosemary, and remaining garlic over low heat. Once garlic is fragrant, about 30 seconds later, remove pot from heat and add potatoes and ⅓ cup milk (you’ll have some left over). Mash with a potato masher or fork until smooth. Season generously with salt and pepper. TIP: Add more milk, if needed, to give potatoes a creamy consistency. Divide mashed potatoes between plates. Top with green beans and meatloaves and serve. TIP: You can use the leftover rosemary sprigs as a decorative garnish. Don’t hesistate. 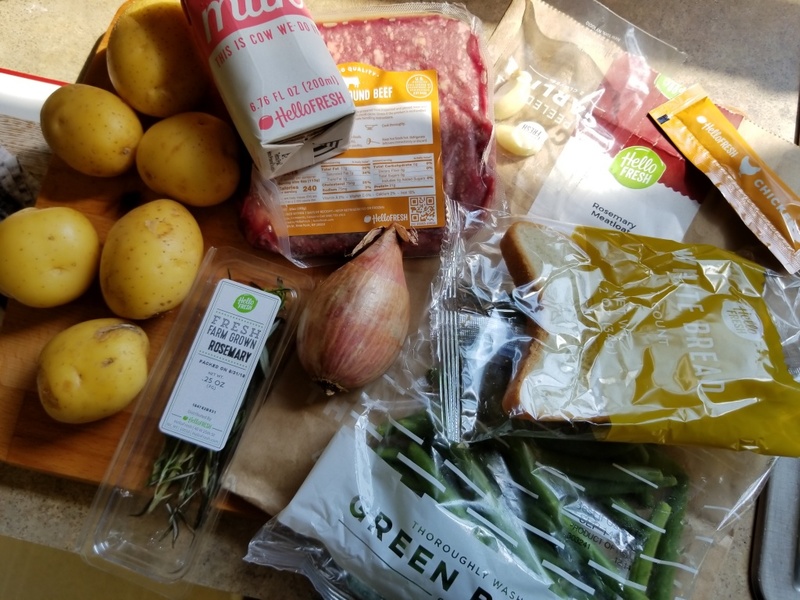 Get 6 free HelloFresh meals when you use my code GRISTLE60.